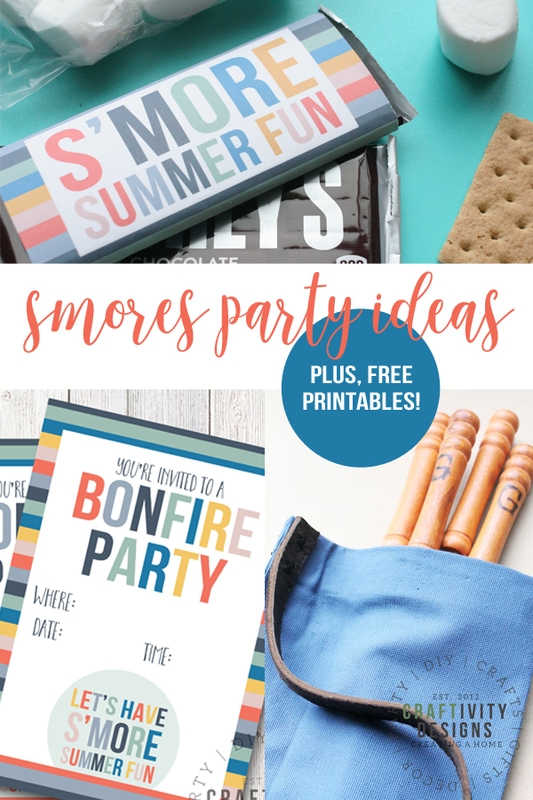 Throw a smores party for friends, family, or neighbors! 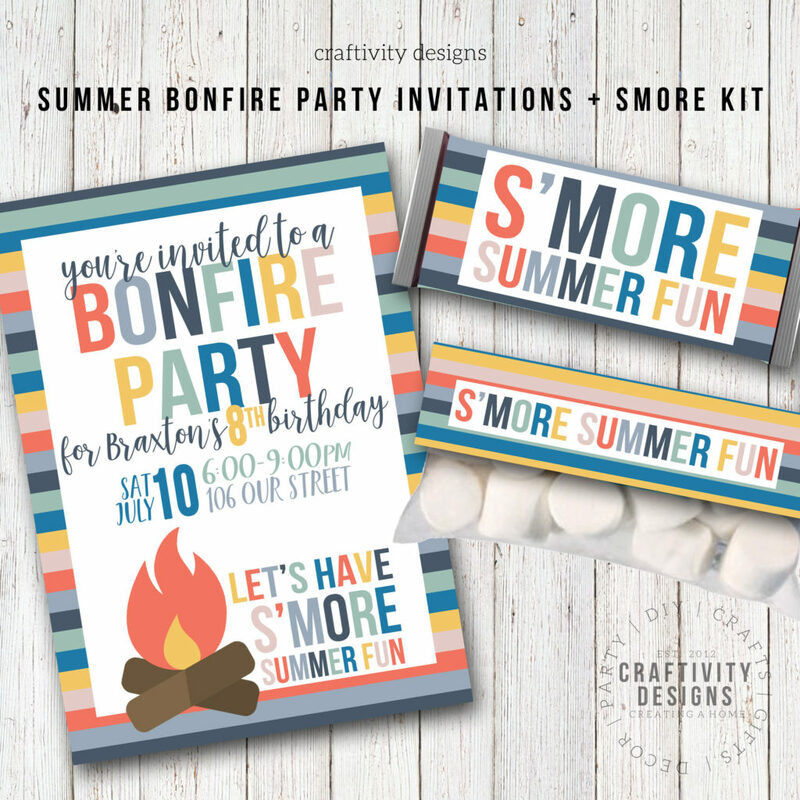 Download a free bonfire invitation, then celebrate with a smores kit printable and easy personalized smores sticks. Looking forward to late summer nights around a bonfire? We are! After building a firepit last weekend, my 3-year-old keeps asking “make hotgogs and marsh-mellyos?” (isn’t it fun when they are learning to pronounce new words?). A goal of ours is to host simple Smores parties… no fancy dinner to make, no long list of groceries… just dessert! And who doesn’t love dessert? I don’t know about you, but I can’t turn down a toasty marshmallow. That yummy goodness, atop a graham cracker and piece of chocolate — it’s the best! So, invite some friends and start up the fire. 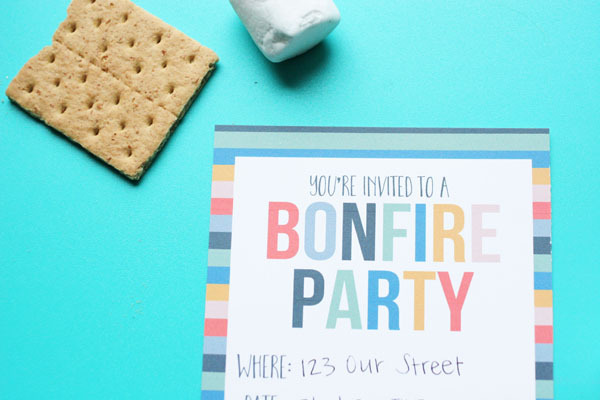 Send a text, make a call, or print a Bonfire Invitation for your guests. I made a colorful invite that can be sent either physically or virtually (perfect for those weeks when I’m too busy to print and mail). You can grab a copy, too, at the end of this post. Are you having a birthday smores party? You can grab a personalized bonfire invitation in my shop (both a summer and fall bonfire party version!). Whether you’re hosting friends or simply toasting marshmallows with the kids, have several smores kits ready to grab and go. 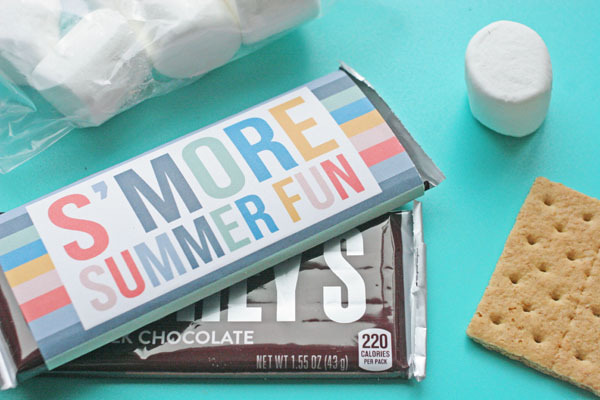 Filled with all the necessary goodies, these colorful smores kits make this classic summer activity even more fun. Grab the free printables from my guest post at The Crazy Craft Lady. 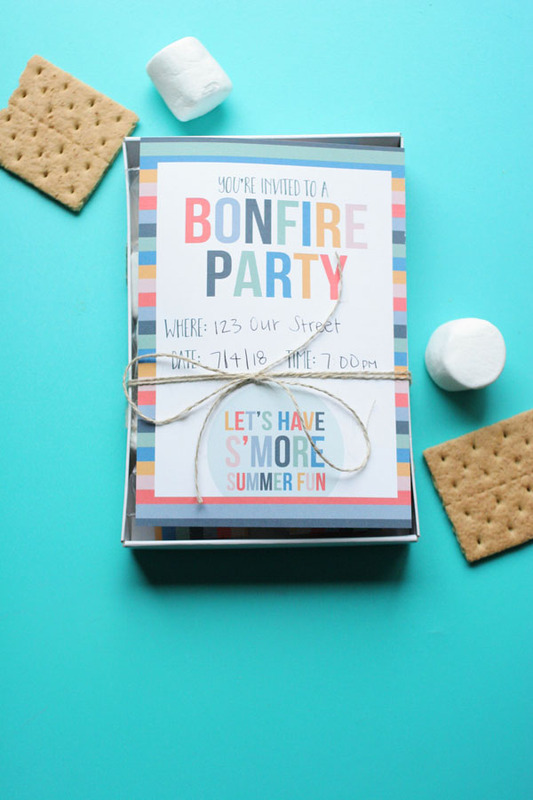 If you’re inviting neighbors over for dessert, attach a Bonfire Invitation directly to the top of the Smores Kit and drop it off on their porch as a creative invite. It will surely bring a smile to their face when they arrive home to this brightly colored surprise! Don’t keep 10 friends waiting on 2 marshmallow sticks. This is an after-dinner party — and especially when kids are involved — there’s no need to waste precious time. With plenty of smores sticks on hand, family and friends can gather around the firepit and chat while toasting marshmallows. Plus, everyone will have their fair chance to make two… three… or even more smores (don’t worry, I won’t tell! *wink*). 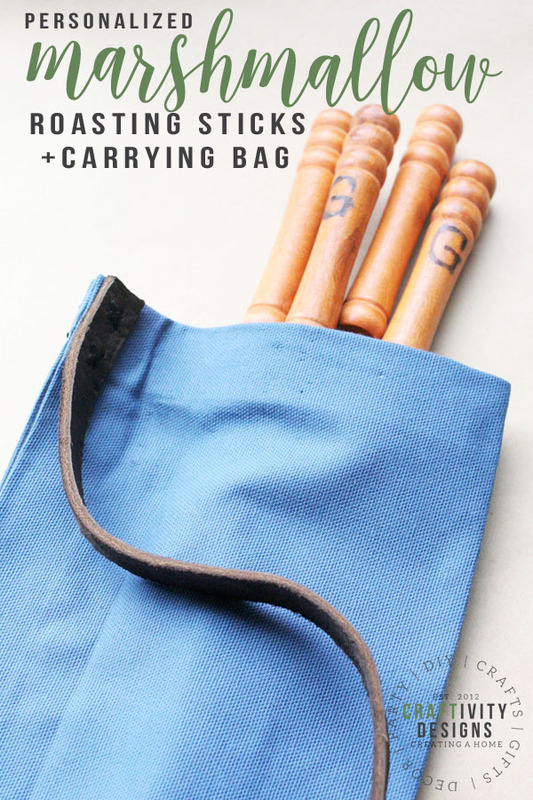 Learn how to make personalized marshmallow sticks and a carrying bag in this post. Would you like to download the bonfire invitation?